Looking for eco living tips on a budget? If so, you’ve come to the right place. Here are four tips you can start implementing today. You can conserve a lot of energy by using LED or CFL light bulbs. Not only that, but you can install eco-friendly air conditioners. They may be a bit on the expensive side, but it’s an investment that can payoff in the long-run. Research what kind of air-con options are out there and do invest in other energy efficient appliances. Windows that attract a lot of natural light are worth the investment too. Here’s a tip, leave your windows open and use ceiling fans to circulate the air because you won’t have to use your AC system as much. You waste a lot of money by using paper towels to clean up every single spill, so switch to towels made from cloth. They are just as effective and you can reuse it after washing it. If you don’t want to go out and buy one, then cut up an old shirt and use that for the time being. Sure, a dryer is useful because of the convenience it offers, but it uses up a lot of energy. Instead of using the dryer, use a clothesline or buy a clothing rack to use. If you don’t have anywhere to hang your clothes so they can dry, then place your clothes where you can and then place a fan on a stool. This will dry the clothes faster. You will save a lot of money by skipping the dryer. On that note, don’t use a top-loading washer machine because a front-loader uses less energy. Sure, a top-loader is convenient, but it is definitely not as energy efficient as a front-loader. Not many people know this, but appliances can still use electricity when they are turned off and plugged in, and so can computers when they enter sleep mode. What you want to do is unplug appliances and turn things off when you’re not using them. Yes, it can become a nuisance to repeatedly unplug and plug in your stuff, but the money you can save will be worth it. Do you want to save money? If so, do the above. You might be surprised at how much you can save. When it comes to window coverings or treatments they can serve the purpose of not only a decoration but also to save energy in the home. A few of the specialized window treatments have the ability to decrease heat in the summer as well as heat loss in the colder months of winter. However, the window treatments are not effective when it comes to preventing air infiltration or leakage and weather strips or caulk around the windows is one of the most effective ways to decrease air leakage. Awnings for windows have the potential to minimize heat gain by 65% in the summer for your south-facing windows or 77% for your west-facing windows. You can choose awning shades for each window or choose from a custom-made design that can be used to create shade for one side of the home. In previous years the majority of the awnings were constructed out of canvas or metal that usually required re-covering every 5 to 7 years. The awnings today are now available in synthetic fabrics like polyvinyl laminates or acrylic which have been treated to resist fading and mildew as well as being water resistant. When choosing an awning it is best to go with a fabric that is tightly woven and opaque and keep in mind that the lighter colors will be able to reflect the sunlight more. An awning needs the necessary ventilation in order to prevent hot air becoming trapped in the area of the windows. The awning should feature openings across the sides or tops or eyelets to provide ventilation. You can even choose from the awnings that open up from the top or sides to vent out the hot air. In the winter time the retractable or adjustable awnings can be rolled up to allow the sunlight to warm the home. The latest hardware like lateral arms ensures that the technique of rolling up the awning is a simple process. Slat-type horizontal or vertical blinds are the types that are regarded as more effective when it comes to decreasing heat gain in the summer months compared to heat loss in winter. Due to the various openings between slats on these blinds, it is not easy to control the loss of heat when it comes to interior type window blinds. However, these slats are beneficial in the months of summer due to their flexibility. Unlike the shades, the slats can be adjusted to control ventilation and light. When these blinds are lowered and completely closed on a window that receives a lot of sunlight they are able reflect the direct sunlight away onto the ceiling. If the ceiling is a light color this light is diffused with minimal glare or heat. Roller blinds used on the exterior of windows are typically constructed out of steel, vinyl, aluminum or wood. They are installed above the windows and the side channels are what guides them to be raised or lowered. When lowered completely the slats meet up providing sufficient shading. When partially raised these blinds allow for airflow and some daylight to come through the windows. 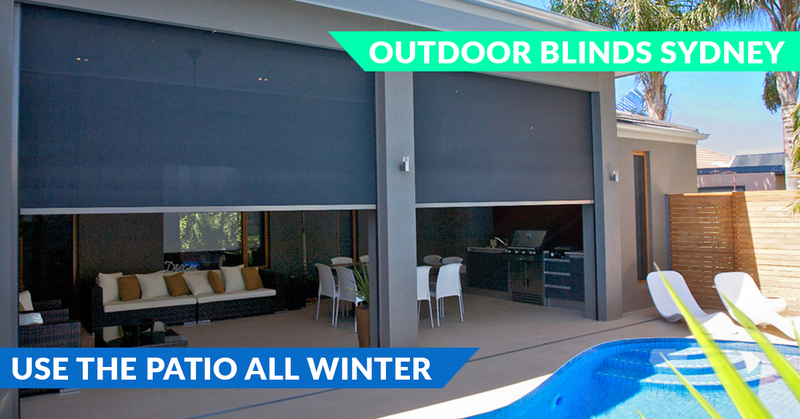 The Sydney outdoor blind prices can vary from supplier to supplier and also depends on the width, drop and some other factors. The abilities of drapes to decrease heat gain or loss will be dependent on various factors which will include the type of fabric such as open or closed weave as well as the color. 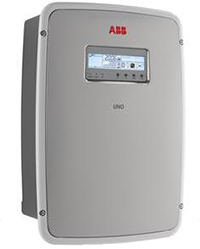 With the extensive variety available, it becomes difficult to generalize their energy performance. On summer days, draperies in windows that receive a lot of sunlight should be closed to decrease heat gain. Specific studies suggest that draperies made out of a medium color along with a plastic-white backing are able to decrease heat gain by up to 33%. The draperies also have the abilities to remain cooler in the summer months compared to various other window treatment types due to their folds and pleats that cause heat loss through the process of convection. When closed in cold weather, the majority of the conventional draperies are able to prevent heat loss out of a warmed room by around 10%. For this reason these draperies need to be closed at night as well as on the windows that won’t receive sunlight in the day time. To decrease heat convection or exchange, the draperies need to be positioned as close as possible to the windows. In addition, they need to fall onto the floor or the window sills. To improve effectiveness it is advisable to install cornices over the draperies or place draperies directly against the ceilings. This should be followed by sealing the draperies on both sides and ensuring they overlap in the middle. Magnetic tape or Velcro works well to attach drapes directly to the walls on the bottom and sides. These added precautions can result in a reduction of heat loss of around 25%. •Does the window have interior insulation? The mirror-like silver films are in most cases a more effective option compared to the transparent or colored ones. The west and the east facing windows are able to benefit from the films due to their higher potential associated with heat gain. The south facing windows can benefit somewhat but north facing windows will not benefit. The reflective films can be applied over an existing window and a few of the window manufacturers also manufacturer reflective glass or glazing. Home construction and home renovations are the best time to consider how to improve the energy efficiency in your home. Although constructing a new home or remodeling your current home is exciting, it can also be stressful due to the various decision that you must make. You will need to decide on things such as the design of your home, your heating and cooling system, your appliances, insulation and more. 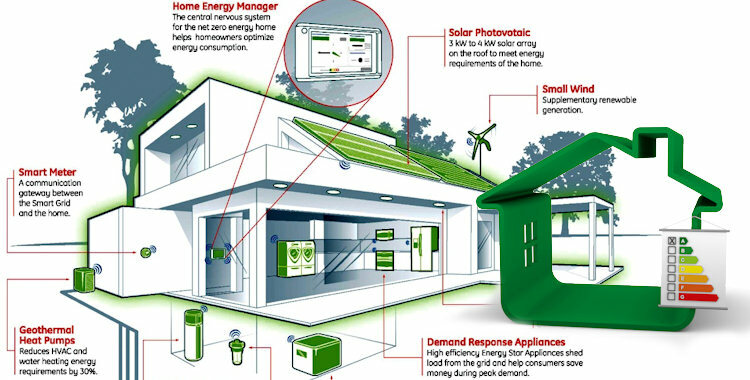 During the planning stage, you should consider the different ways to make your home more energy efficient. There are experts that can help during this stage to ensure your home is energy efficient. Additionally, the following information can help you during the initial planning stage of your new home construction or remodel. Planning ahead ensures that everything goes according to plan and you are able to avoid many of the pitfalls surrounding construction. Ask for advice. During the design stage, a lighting and energy expert will help you maximize the energy efficiency of a home. The money you spend on this type of expert will net you major savings throughout the lifetime of your home. Ask those who have built or renovated a home if they have suggestions on how to save money and improve energy efficiency in a home. Check out magazines for inspiration. Collect ideas in a scrapbook to help keep everything organized. Other places to gather information should include home improvement stores and building advisory stores. Gathering detailed information will help when renovating your home. Ensure that you insulate your windows properly by getting high quality window insulating coverings, DESIGN – a Sydney plantation shutters installer highly recommends getting polymer foam plantation shutters for this very reason. Have a sustainability assessment of your home completed. This assessment identifies areas of the home where energy efficient practices can provide the greatest savings. If you have rooms that are cold in the winter and hot in the summer, talk with your builder. He may be able to make modifications to help improve the comfort level of the area. The may include adding another heating and cooling vent, installing a new window or exterior door or adding extra insulation to the ceiling, floors and walls. There are many simple and affordable renovations that can not only improve the comfort and functionality of the home but can also improve the energy efficiency of the home. Many of these do not require major renovations. Did you know how you position your home can affect your home’s energy efficiency? When done correctly, you can take advantage of the warmth of the winter sun while minimizing the exposure to the summer heat. This can save you tons on your heating and cooling bills. When shopping for appliances, purchase only Energy Star energy efficient appliances. These appliances help to minimize utility costs. You can further reduce your energy consumption by placing appliances that use hot water as close to the water heater as possible. This helps reduce heat loss in plumbing pipes. When The Australian division of Toyota Motor Corporation decided to install an industrial-scale photovoltaic solar power system in Melbourne, they turned to Autonomous Energy. The project ultimately produced a 500 kW system installed on the Powertrain Factory building at the car maker’s Altona North plant. This major solar undertaking got started in 2013 following extensive planning, design, and engineering preparation. The system was completed and activated in May of 2014. This large-scale system represents several firsts for the Australian solar industry. The individual solar panels used for the installation are Kyocera, the voltage network is Toyota’s own, and the inverter/transformer is a groundbreaking centralized unit created by ABB. The new Toyota installation becomes Australia’s third-largest roof mounted PV system, and the largest PV system of any kind located in Victoria. The successful completion of this project depended in large part upon the professional and technical expertise displayed by the Autonomous Energy team. Many factors of this massive undertaking presented new challenges that required creative solutions. Many of these problems fell outside the realm of ordinary solar power installations, but they were nevertheless overcome to complete the Toyota array as promised. As one example, simply installing PV modules on the roof of the factory required a serious overhaul of the access routes available on the roof. Autonomous Energy ended up constructing more than a kilometre of brand new walkways to make the new array accessible. A delicate balance had to be maintained throughout all parts of the installation project that respected the safety both of our own installation teams and the Toyota employees working inside the building. Moving equipment onto the roof, for instance, required careful coordination with the factory’s production schedule to avoid interrupting ongoing work. Even the pure logistics of handling the large number of PV modules required called for innovative solutions. Panels were stored on the roof prior to installation, which required the construction of custom stillages designed and placed to ensure a safe distribution of weight down to the factory structure below. Custom trolleys were also designed to maneuver individual solar modules around the new rooftop walkways with minimal risk of injury or equipment damage. If you nee help with a similar project preston Hire provides Melbourne and Sydney crane hire services for projects just like this one. Each string of solar modules tied into the larger system had to be electrically isolated by an ABB combiner box to allow it to be taken out of the system for maintenance. The combiner boxes were mounted in custom-built frames that are adjustable to match the heights of the building’s different roof sections. The power cables running throughout the system had to be clearly and consistently labeled to make it feasible to identify and maintain individual strings. Safety management is one of the areas of industrial practice where Toyota enjoys a well-earned reputation as a world leader. This is why Autonomous Energy developed a unique plan for managing Health and Safety throughout the solar installation process. Solar professionals, in-house safety experts, and outside consultants were all called in to ensure that every aspect of the installation project was made as safe as possible. The Tesla battery is by far the most exciting product release in the retail market – and not just because of the passion of their charismatic CEO Elon Musk. 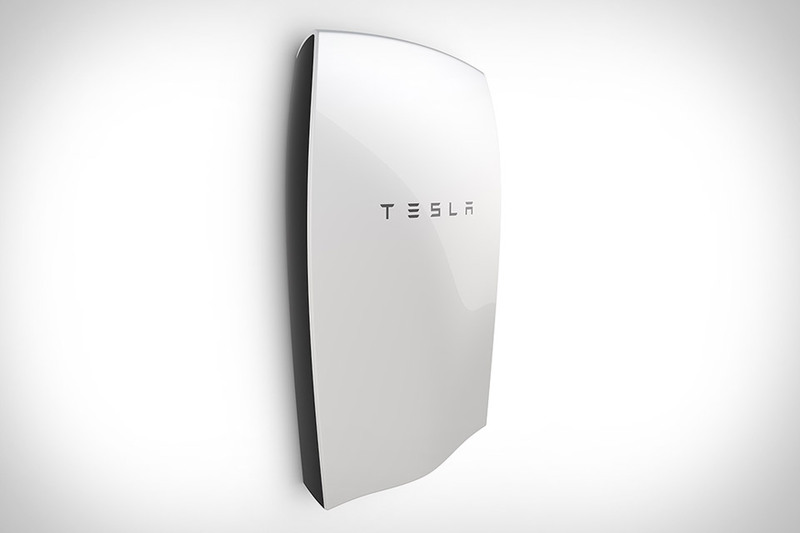 Here are some things you need to know about the new Tesla battery – the Powerwall. The Heliac solar foils consist of a series of polymer sheets that are nano-structured and micro with Fresnel lenses. This is yet another technology created on the path to making solar power cheaper than fossil fuels. Check it out! Another Nanotechnology project in the solar industry. as far as making solar more efficient, smaller and more affordable, many out there in the science community believe that nanotech holds the keys to such advancements. Jonathan Strickland more about how, with more understanding, nanotechnology will reshape the way we make solar panels. A team of scientists at Michigan University has created a clear surface that is able to collect solar energy, the surface is completely clear and opens up many possibilities for solar design in city spaces. Thinking of investing on solar panels to start cutting down your utility expenses? If you want to see favorable results within a given period, then you need to buy high quality solar power systems that yield the best returns on your investment. So, learn more about the nitty-gritty when buying the right solar electric system that suits your budget and needs. To get to the bottom of this, you need to check the material used in the solar panels, which should be high quality silicon or monocrystalline. Solar power systems with high efficiency level are made from expensive and single chunks of silicon that are capable of producing more power per panel. On the other hand, low-cost systems are manufactured from polycrystalline, which are not as efficient in generating electricity as panels made of pricier and higher quality silicon. Although your initial investment may seem lower when you go for cheaper solar panels, you may end up spending more in the long run due to greater negative power loss. So, it is a much better decision to think about long-term benefits to avoid any regrets eventually. PTC or PVUsa Test Conditions is the rating that serves as the highest benchmark for solar panels. All solar electric systems manufactured in the United States must have their specific PTC rating before they are made available in the market. 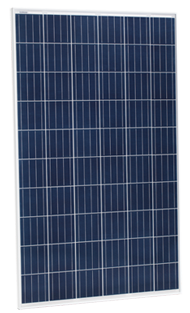 The rating also serves as a means to protect cosumers from buying low quality panels that fall below their standards. Generally, the higher the PTC rating of the system, the better it is. It does not matter whether the STC or Standard Testing Conditions rating is high or low, since the main basis is on the PTC rating. If you rely on a system with low PTC rating, you may end up buying more panels in the future, which can cost you more than investing initially on panels with higher ratings. As when shopping for any appliances, a waranty is an important feature of solar panels. Although solar power systems can last for over 25 years, it helps to have a lifetime warranty for your panels in case there are factory defects. Fortunately, most manufacturers offer warranties to customers, and that should save you from any hassles when you need to have the system repaired. Just be sure to buy from a reputable manufacturer that is well known for its quality products at reasonable prices. Can I Use Solar at Night?